Home » » Woman Goes Blind in One Eye After Playing Mobile Video Game Almost Non-Stop. Woman Goes Blind in One Eye After Playing Mobile Video Game Almost Non-Stop. 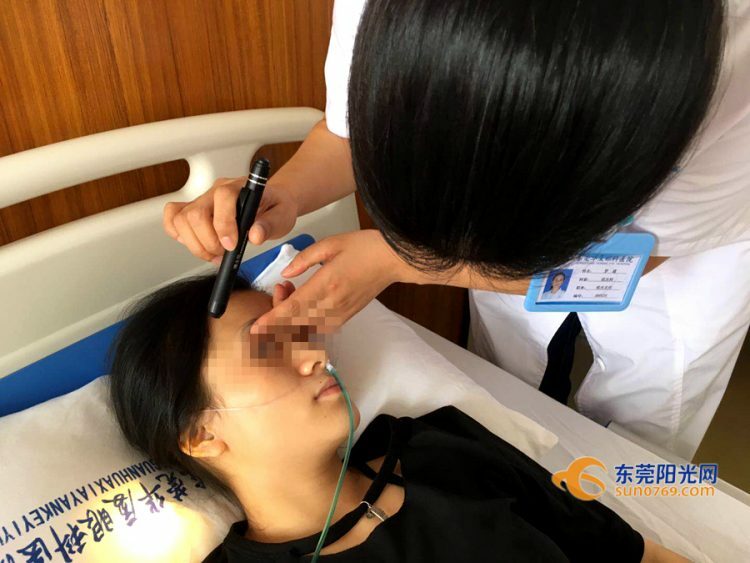 A 21-year-old woman from Dongguan, China, was recently diagnosed with with retinal artery obstruction in her right eye, after playing a popular smartphone game almost non-stop. The woman, known only as Wu, apparently noticed that she couldn’t see anything with her right eye on October 1st, while playing her favorite mobile game, King of Glory. Thinking she was just tired, she went to bed, but when she woke up the next day, she was still blind in her right eye. Her parents took her to the hospital, where she was diagnosed with a serious condition known as retinal artery obstruction. This usually only occurs in older patients, but doctors said that Wu’s eyes were incredibly fatigued by the stressed of constantly staring into the small smartphone screen. Wu admitted that she had probably spent a little more time than she should have playing on her phone. On a regular day, she would come from work and start playing without any breaks for seven or eight hours straight. She works in finance, so she spent most of her day at the office staring into a computer screen, which only put more pressure on her eyes. Things were even worse on her days off, as pretty much all she did was play on her smartphone and sleep for a few hours. World of Buzz reports that instead of going out with her friends or just resting during China’s Golden Week holiday, Wu decided to stay in and go on a King of Glory playing marathon. Her eyes couldn’t take the stress anymore, and she ended up blind in one eye. The young woman is still in the hospital, where doctors are trying to restore her vision, but, so far, they have made little progress. When flashing a light in her eyes, Wu still reported seeing nothing with her right eye. After Wu’s case went viral in Chinese media this week, ophthalmologists used the opportunity to remind people to only use their smartphones and computers for 30-minutes to an hour, take frequent breaks and look into the distance frequently to relax the eyes’ focusing muscles and relieve stress.